It created nice reflections the water and ice on the ground: like fire on ice. 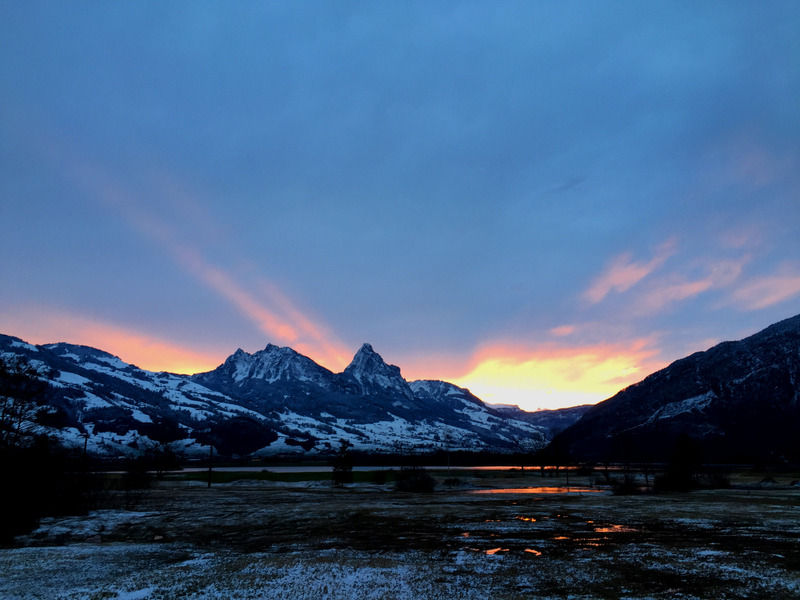 This entry was posted in Photography, Pictures, Switzerland and tagged Mythen, Photography, Picture, Sunrise, Switzerland, Winter by Erich Styger. Bookmark the permalink. That would make a great jig-saw puzzle photo.